A business with a history going back to 1935, Appliance Scratch and Dent Outlet has long family ties. Purchased from the estate of the original owner, Clayt Karges in 1952 by Glenn Decker and Earl Shantz, the business was later purchased by the two owners’ sons, current owners Dave Decker and Rick Shantz. 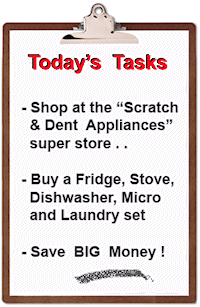 For more than 75 years, Appliance Scratch and Dent Outlet has been serving the Kitchener, Waterloo and Cambridge areas. 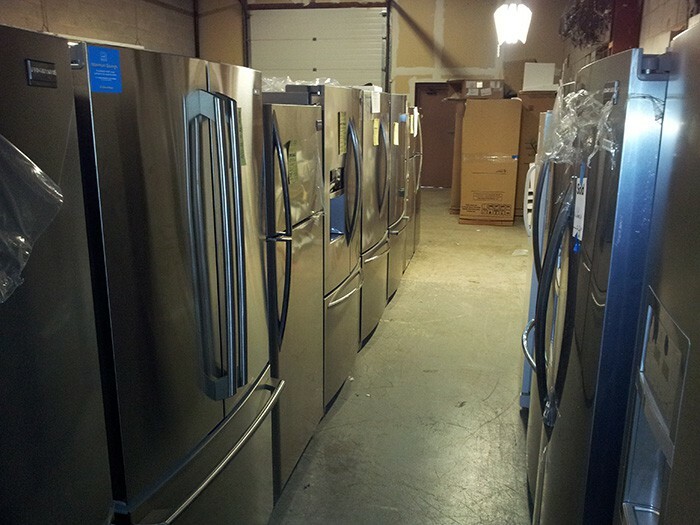 The family owned and operated appliance store offers a wide selection of brand name appliances including Amana, AquaMaster, Electrolux, Frigidaire and White Westinghouse. During this time, we have become the #1 favorite appliance store for thousands of satisfied customers from all over Central and South Western Ontario. By word of mouth, people have been telling their friends and family to shop here. 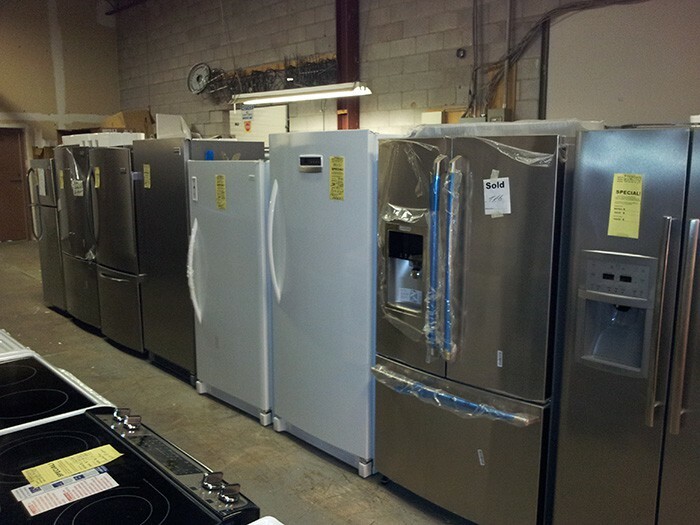 We have a large selection of appliances to choose from. And, our prices are simply amazing! 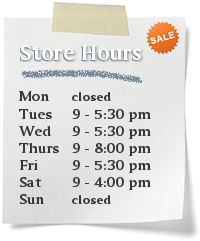 Our store is located in the city of Kitchener, Ontario. Our reputation continues to expand by word of mouth. We literally offer something for everyone. 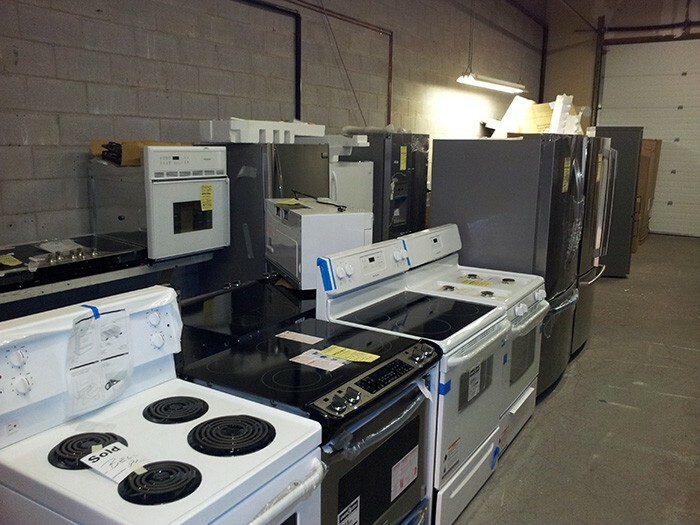 From “one of a kind” deals, factory clear outs, limited quantity specials, scratched, dented, or carton damaged .. You’ll want to hurry in for the best pricing on Frigidaire and Electrolux. We also offer the complete line of Aquamaster Water Softeners and water purification solutions. Ask one of our sales people to demonstrate how — Aquamaster, Canada’s #1 Softener company, can help improve the water in your home. 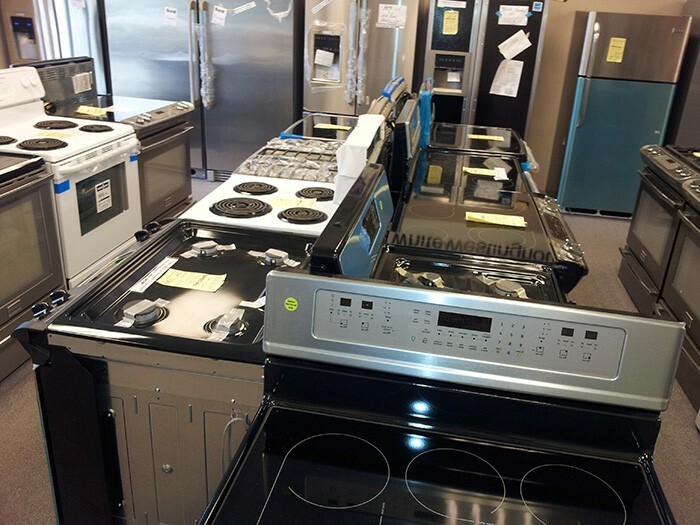 Appliance Scratch and Dent Outlet combines knowledgeable sales staff with competitive pricing and quality appliances to suit all budgets. 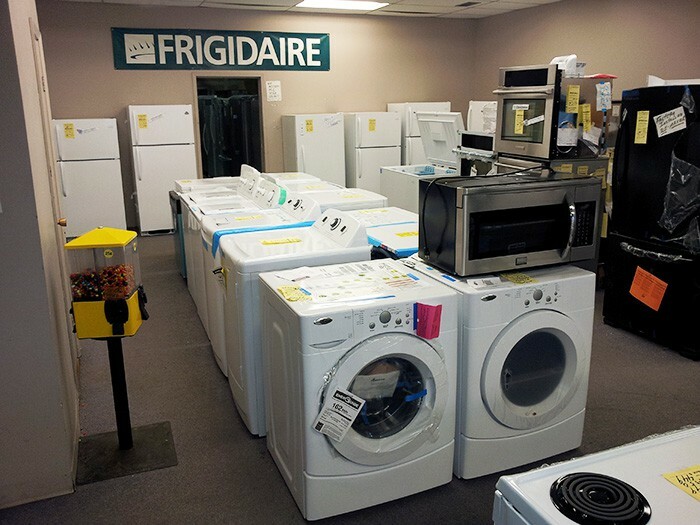 One of Canada’s oldest and most trusted appliance stores, Appliance Scratch and Dent Outlet has a well-stocked, in-house service department with professionally factory authorized technicians that provide fast, dependable service. 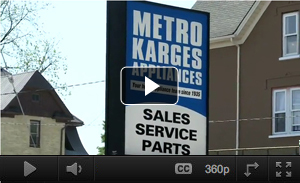 The store features both electric and gas appliances in a range of styles. Options for refrigerators include top mount, side-by-side, bottom mount, French door, built-ins and counter depth to name a few. Ranges are available in duel fuel, professional grade and slide-in models while the selection of wall ovens includes convection ovens, double ovens and self-cleaning models. A variety of cook tops can also be found along with exhaust systems to mount over top. From coin-operated commercial laundry machines to front-load washers and humidity controlled dryers to steam dryers, Appliance Scratch and Dent Outlet can outfit any laundry room. Also among the products carried are dishwashers, including Energy Star rated machines, waste disposal units, microwave ovens, central vacuum cleaners, chest freezers, water softeners, barbecues, wine cellars and air conditioners. 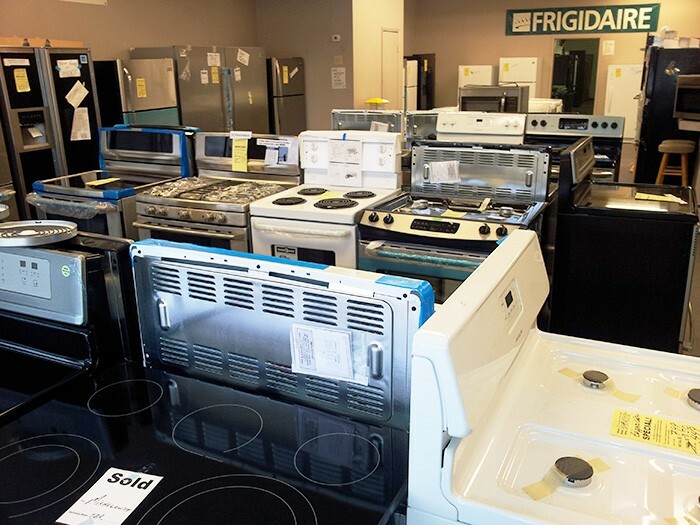 While the store provides everything an appliance buyer could want, it’s the after-sale service that has kept generations coming back to Appliance Scratch and Dent Outlet over the years.